So many of us were rushing to pay real estate tax before the year end because of the tax reform that was signed into law. Now, it may not be as necessary as many may have thought. This is an article from Northern Virginia Association of Realtors so you can understand why. Don’t shell out money for your tax bill just yet. A tax loophole that eager taxpayers were hoping to take advantage of might be narrower than some thought. Arlington, Alexandria and Fairfax localities have not assessed taxes for 2018. This means that citizens’ prepayment of their taxes would not be deductible, according to a statement by the IRS. Consult with an accountant or a tax professional to review your own circumstances, advises the Northern Virginia Association of Realtors®. The new tax bill, which takes effect on January 1, does cap to $10,000 the previously unlimited deduction for state and local taxes. The I.R.S. guidance about the ability of people to prepay property taxes this year does not apply locally for 2018. This has led to confusion locally since many eager homeowners in Northern Virginia, a high-cost community, have prepaid taxes to save money. Property taxes paid this year will be subject to the old 2017 rules, since those taxes are assessed in 2017. The Arlington County Treasurer’s Office and Arlington County have received multiple inquiries based on the statement issued by the Internal Revenue Service on December 27, 2017, concerning deductibility of the property taxes. Neither the Treasurer nor the County staff will be offering individuals advice on tax issues and suggest people consult with a tax professional for any IRS related questions. Arlington County, through the Department of Real Estate Assessment issues real property tax assessments each year in mid-January. The assessments for Calendar Year 2018 will be completed in mid-January and mailed to residents at that time. Bills for taxes owed for calendar year 2018 are generated by the Treasurer after a tax rate is set by the County Board in April. Those bills are due and payable in two installments – by June 15 for the first portion, and October 5 for the second portion. On December 27, the Internal Revenue Service (IRS) issued an advisory stating that prepayment of 2018 local real estate taxes may not be deductible on 2017 federal income tax returns. The advisory follows the City of Alexandria’s December 21 announcement that while the City accepts prepayments, there may be no benefit of prepayment depending on a variety of factors. The City continues to encourage taxpayers who are considering prepayment to consult qualified tax professionals before deciding whether to prepay and determining the date by which payment must be sent or received. The IRS advisory clarifies that “a prepayment of anticipated real property taxes that have not been assessed prior to 2018 are not deductible in 2017.” State law and the City Charter provide that all real property must be assessed at fair market value as of January 1 each year, and the amount of the real estate tax cannot be assessed until the tax rate is set by City Council in May of each year. Consequently, there is no legal or practical way for 2018 Alexandria property values or real estate taxes to be assessed in 2017. The Fairfax County Department of Tax Administration (DTA) accepts real estate and vehicle tax prepayments from Fairfax County taxpayers. Fairfax County makes no representations about the deductibility of the advance tax payments for federal or state taxes. Residents are advised to seek tax advice from their tax advisors or from the Internal Revenue Service regarding deductibility of prepaid property taxes. Tax rates for 2018 have not been finalized. Taxpayers seeking to prepay 2018 taxes may estimate their tax bill based upon their 2017 taxes, and any difference can be billed or refunded once the tax rate is adopted by the Board of Supervisors in April 2018. If you are currently getting your taxes escrowed, you will be responsible for working with your mortgage company on any future adjustments to your escrow account. – Homes were sold 17.65% faster with Average Days on the market went down to 42 days vs 51 days in Sept 2016. – Number of Under Contract homes increase 22% compared to Sept 2016. This shows a stronger absorption rate. – Total home sold is 3.28% less than Sept 2016 (1620 compared to 1675). In general, this local housing market appears to be sustainable. Most homes on the market at a price higher than market value tend to stay longer on the market. At the same time, homes that are not updated or are in move-in ready condition will experience longer time of the market as well as price adjustment/reduction. Well updated homes and well priced homes are still in strong demand and still receive multiple bids. 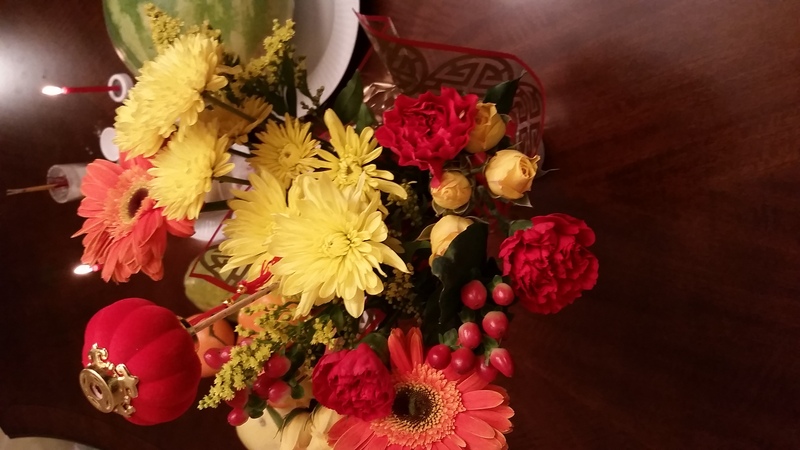 My true friend wrote this blog about Arlington and I have to ask her permission to repost because it reflects so well the genuine perspective of an Arlingtonian. It’s not something about what’s good or bad, but about the feelings and emotion! Short Sale là 1 chuyên từ bất động sản được sử dụng phổ biết trong những năm 2007 trở đi. Chính nghĩa của nó là Sale with Shortage, có nghĩa là bán nhà nhưng vẫn không đủ trả nợ cho nhà băng chủ nợ của căn nhà. cho đến lúc nào nhà băng chủ nợ chính thức đồng ý. Thời gian chờ đợi nhà băng ra quyết định này (Yes or No) không nhất định là bao lâu, có thể từ 1 tháng đến 6 tháng, mà cũng có thể kéo dài hơn. 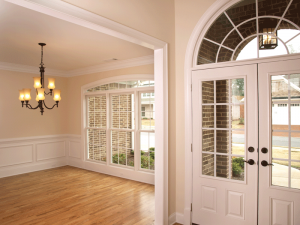 Change the appearance of the entrance and see how much changes you have created to your home. 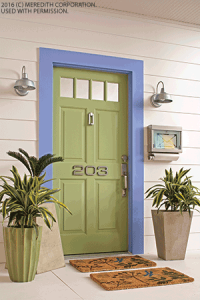 Make a welcoming first impression with stylish accessories or a fresh color palette to update your front entry’s style. 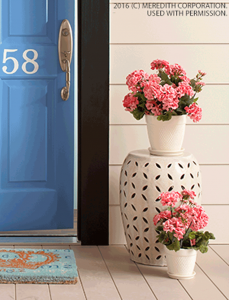 A fresh, stylish-looking entryway will help welcome guests to your house and make them feel right at home. 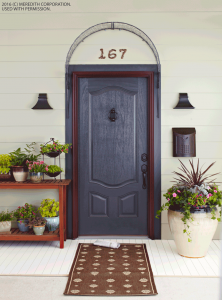 Giving your front entry an update doesn’t have to cost a lot of money or cause you a lot of work; these ideas will help you decide the best route to take to give your entry a boost and increase your curb appeal for open houses or your own pleasure. Enhance your home’s facade with a few charming exterior touches. 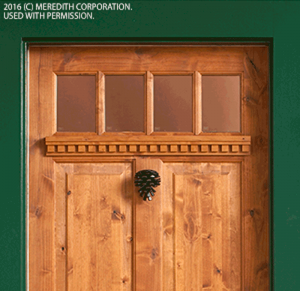 A mahogany door with matching molding sets a timeless tone, and its insulated glass meets Energy Star guidelines. The do-it-yourself address plaque features self-adhesive numbers and comes in three background finishes. Give your entry a fresh finish by slipping evergreens and shrubs into planters. Add visual interest by varying their heights and types. For best results, transplant evergreens and shrubs in your yard before the soil freezes. 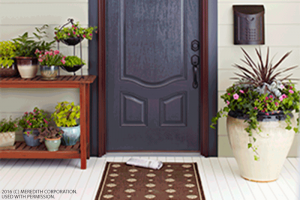 An entryway garden—even when the plants are in pots—adds a fresh appeal to any front entryway. Inspired to remake your entrance? Few projects can provide an instant face-lift like a fresh coat of paint does. 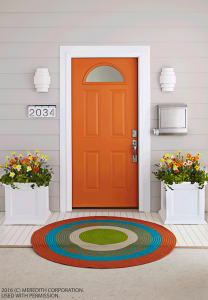 Instead of the expected red, step outside of the norm by painting your door orange for a warm, fun and vibrant look. 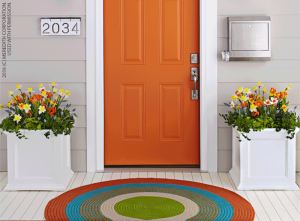 Forgo a traditional doormat for a colorful round rug that’s suitable for outdoor use. PVC planters can be painted to complement your color palette, plus they are lightweight and maintenance-free. Relax a formal entry with a pretty mix of metals. 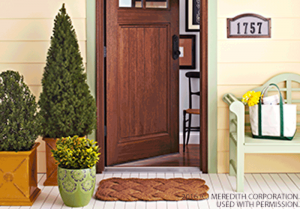 A fiberglass door with a paintable wood-look finish and an aluminum-clad frame offers low maintenance. 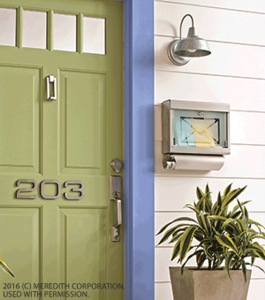 Try a copper finish on house numbers to make them stand out from afar. If your front entry is lacking character, add a little instant architecture with a ready-made iron trellis. An outdoor table isn’t just for the backyard. Up front, it’s ideal for plants or as a perch for bags when you check the mail. Matched sets flanking the door are fine, but different accents of similar visual weight and height, such as this table and pot, provide balance and contrast. A hint of nature can instantly energize an entryway. With a leafy-green door and plants in sculptural containers, this front door ties perfectly to nature. Add instant contemporary polish to an entry with metal accents. These brushed-metal house numbers look stylish and are easy to apply—just peel, stick and enjoy. 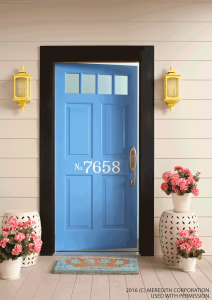 A brilliant blue door with sharp black trim, crisp white house numbers, and sunny sconces adds drama to this traditional scheme. Soften a striking color scheme with delicate details. Seasonal flowers and neutral-color pots balance a bold entry with a touch of feminine flair. 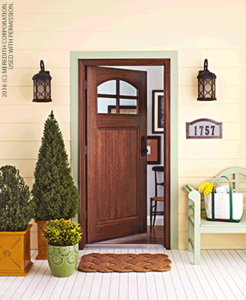 Rich earth tones, a wood door with a natural finish and rustic materials such as copper and bronze lend classic character to this Craftsman-style entry door. Even the doormat, which resembles smooth river rock, harkens to the traditional building materials of the Craftsman era. 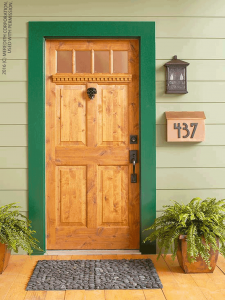 If your home nods to a particular style, gain instant curb appeal with a character-filled entry. The dentil shelf shown here is an affordable way to customize a Craftsman-style entry and add visual interest to a door. 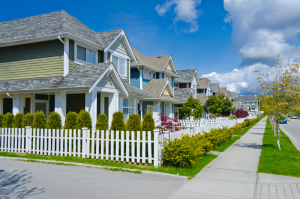 As Spring is here, the housing market is getting more and more active. There are huge increase of “foot traffic” (prospective buyers visiting homes) as well as housing inventory (houses for sale). This article is good for sellers to prepare their houses for sale. No one wants to spend money on a home they aren’t going to be living in, so when it comes time to prep your house for the market, you may wonder what kind of fixes will bring the most value to your home without breaking the bank. Consider making these five fixes to help your property sell. A bucket of paint doesn’t have to break the bank, and can make a world of difference. 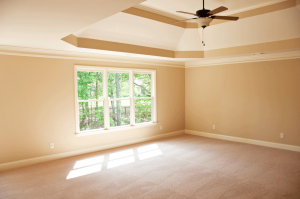 Tone down any vibrant wall colors and spruce up the other walls with a fresh coat of neutral paint. Avoid any tones that are intense and dark to ensure that your home appeals to the widest range of people. 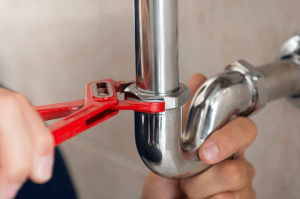 If you’ve been working on some simple home repairs that have yet to be finished, or you know of some necessary maintenance needs that have to be handled, now is the time to take care of them. The buyer’s home inspector will find these issues anyway, so you’re better off fixing them now without holding up offers you could be getting in the meantime. In addition, it is not uncommon for a buyer to revoke an offer if the home inspection report comes back with an abundance of safety concerns and needed repairs. Changing the flooring may seem like an expensive “fix,” but it doesn’t have to be. If you have a wood floor, re-stain it. If you have old carpeting, hire a professional cleaning company to make it look brand-new again, and replace any old, torn vinyl flooring. 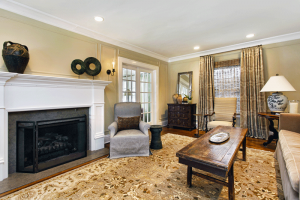 You also have the option of adding an area rug onto old flooring or carpets. 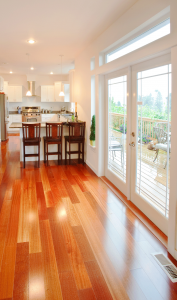 Floors take up a huge part of the home, and if they are stained or dated, potential buyers will take notice—and more importantly, they will be turned off. Similar to the prior fix, this one can sound a little pricey, but as you’ve probably heard before, the kitchen and bathrooms are the main selling points of a home. If you’re serious about selling your property quickly, you may want to consider updating these areas with new countertops. 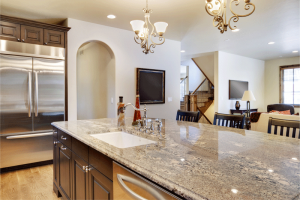 Get rid of the laminate, and opt for natural stone, quartz or solid surface countertops. Buyers will notice. You will be amazed at how moving around some furniture can completely change the aesthetics of your home. Hire a stager, and let his or her expertise bring more value to your property, and a higher number than your asking price. It’s key to hire an experienced stager who has an excellent track record, and an even better portfolio, to ensure that you reap all the benefits. With a few fixes, your home will be ready and primed to be put on the market. If possible, space these five fixes out over the course of a couple months prior to listing your home, and the renovations won’t feel like a major investment at all. With these small but effective tweaks, now you’ll be in a great position to sell your home and move on! It’s no secret that moving is a difficult, time-consuming task. You pack everything you own into a moving van, only to unpack everything into a new house. What may surprise you is that moving doesn’t actually have to be a daunting experience. There are some excellent tips that can make the entire process easy, effective, and enjoyable. If you are able to hire movers, all the better. In any case, these 10 tips are all you need to know when moving into your new home. This is one thing that many people forget. 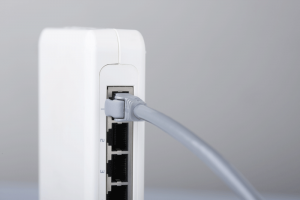 If you want to have Internet access as soon as you move into your new home, you need to plan for it ahead of time. 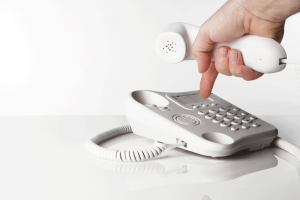 Depending on your location and service provider, set-up and wiring can take several weeks to book. So, schedule this prior to the move. 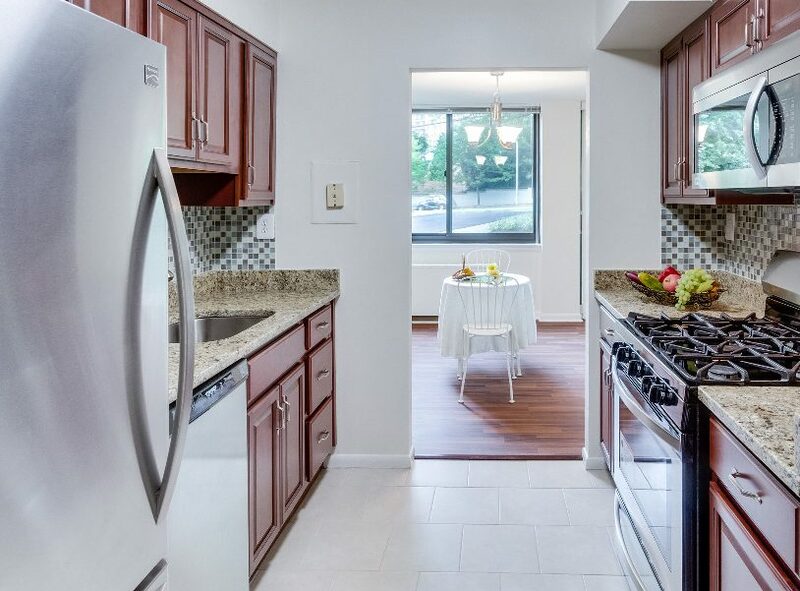 Similar to the Internet, some people forget that the energy is likely disconnected in their new home prior to move-in. There is nothing more frustrating than trying to unpack in a dark room, but fortunately, the process of connecting your energy is fairly simple. Just call your local energy provider and give them the necessary information they request, such as your new address and connection date. Once you have a tentative date, or a schedule, in mind for your move, it is important you contact your movers as early as possible in advance. This way you aren’t rushing last-minute, or revising your personal schedule, to begin the booking and organization process. If you are not hiring professional movers, it is still important to inform anyone who might be helping you in advance so they can take time out of their schedule to help. For more information on the type of moving company you may want to hire, view our breakdown of moving services here. If you have access to your home prior to moving day, take some time to give it a deep clean. This is actually fairly easy because the space is already empty—it will never be emptier, in fact. Scrub those cupboards, floors, baseboards, windows, and everything else while there’s nothing hindering access to such areas. 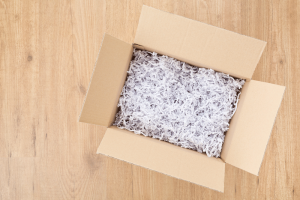 When the boxes are off the truck and sitting in your new living room, take the time to inspect your belongings. This is incredibly important, especially if you hired movers. Make sure that everything has made the trip to your new place, and while doing so, you can place the boxes in the correct rooms. If you followed the previous step and have already placed boxes in specific rooms, you’re already ahead of the unpacking game. One way to make the entire unpacking process significantly easier is to start with the essentials. Unpack the absolute necessities, such as bedding, clothes, toiletry, and towels, first, and you’ll be able to start the relaxing process for the day quicker. 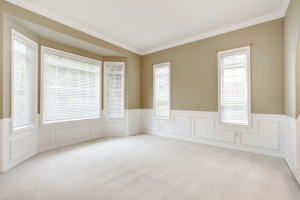 It’s time to turn your house into a home, and installing window treatments, such as blinds or curtains, is the first step to settling it. This will also help you protect your possessions, as people outside won’t have a clear view of everything you own. 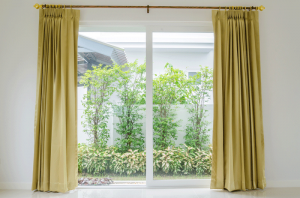 If you haven’t decided on specific window treatments just yet, hang some linen in the meantime just to give your new home and possessions that extra protection. 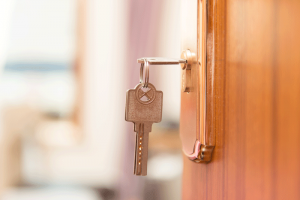 Another thing you may want to do for your new home is change the locks. Unfortunately, you don’t know how many extra keys were made when the previous owners lived there. So, change the locks on the exterior of your home as soon as you can just to be sure that no outsiders have an open invitation into your new house. As you unpack, you will likely come across the circuit breaker anyway, but this may be something you want to find right from the beginning. 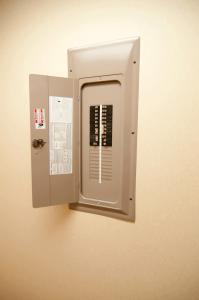 Check it out, and if there are no labels, make your own so you know what breaker controls each section of your home. After all the unpacking, you’ll need a break, and some fresh air will do you well. Take a walk around your neighborhood, and stop by, and say hello to anyone you see. You’ll begin the process of fitting into your new atmosphere and feeling at home right away. Moving doesn’t have to be an undesirable experience. With these tips, you can enjoy the entire process of moving into your new house. 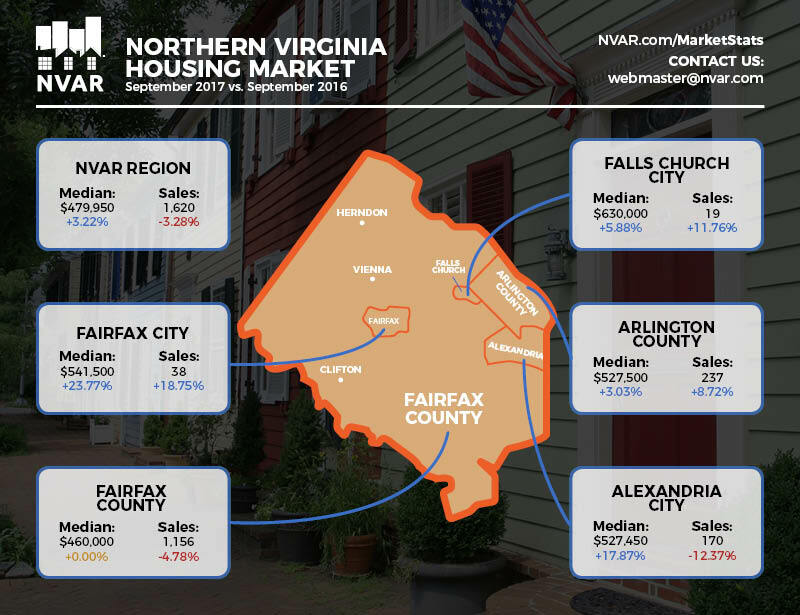 This is a monthly updated housing market condition for Arlington County and Fairfax County (automatic update), Virginia by Thai Hung Nguyen – Dynamic Home Team. All reports and charts are based on the MRIS data for the Washington DC Metropolitan areas. More specific and local reports can be available upon requests. Combine all ingredients together in a bowl until everything is completely dissolved. Carefully pour the coffee mixture into each popsicle mold until full. Cover with tin foil and insert sticks, or cover with a lid and handle (if provided with your molds). Freeze until solid, approximately 2 hours. To unfreeze, add some hot water into your sink and submerge the mold without going over the top of the molds. After 15-30 seconds, your iced coffee popsicles should slide right out.